FREE LASIK Consult with Dr. Samir Farah — Contact Us! Specialized in LASIK, Cataract, and Corneal Diseases and Surgeries, Dr. Farah is a well-known eye doctor and surgeon. He is a graduate of both Saint Joseph University and the American University of Beirut and has completed his post-doc fellowship in the US, at the well-known Massachusetts Eye and Ear Infirmary at Harvard Medical School. 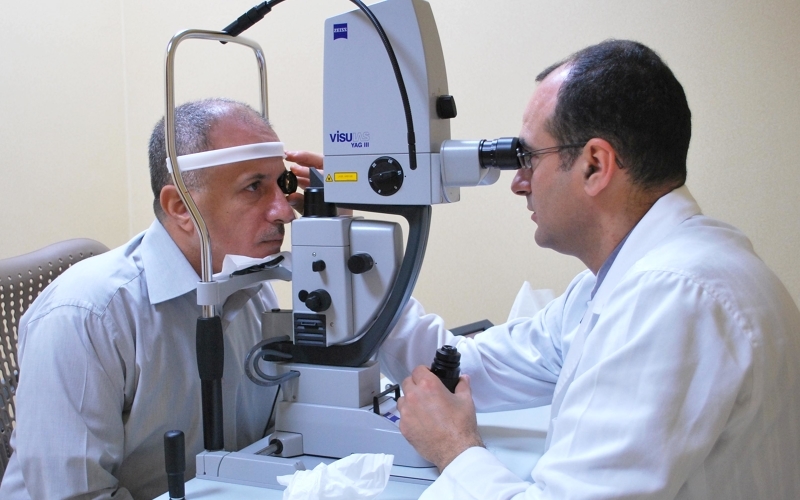 Dr. Samir G. Farah is a seasoned and well known eye doctor and surgeon in Lebanon and the United Arab Emirates. He provides comprehensive eye care with a focus on LASIK, cataract and corneal diseases and surgeries, emphasizing compassionate care and patient education. 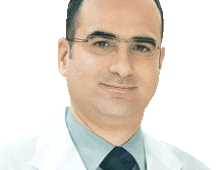 Dr. Farah combines the best in French and American medical education as he earned his primary medical degree from the Saint Joseph University in Beirut, Lebanon, and completed five years of residency training in general surgery and ophthalmology at the American University of Beirut Medical Center, Lebanon. He completed his fellowship in Cornea, External Diseases & Refractive Surgery at the well-known Massachusetts Eye and Ear Infirmary at Harvard Medical School, in Boston, USA. 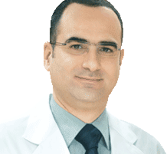 Dr. Farah currently practices in Lebanon and the United Arab Emirates (UAE). Originate of North Lebanon, Dr. Farah tends clinic in Beirut at the St. George Hospital in Achrafieh, and in his private clinics in Beirut and in the North of Lebanon to serve his community. He is also Assistant Professor of Clinical Ophthalmology at the University of Balamand Medical School, Lebanon and a Consultant Visiting Ophthalmic Surgeon to the UAE. He has helped develop Refractive Surgery Centers in Lebanon and the UAE. Dr. Farah also holds a US patent for the Farah Marker, a device that improves the accuracy and outcome of LASIK. Dr. Farah practices and operates in Lebanon as well as in the UAE. He holds the position of Assistant Professor of Clinical Ophthalmology at the University of Balamand Medical School, Lebanon. Dr. Farah is committed to perform LASIK on only those patients that are suitable candidates, using advanced diagnostic equipment. It is deemed that about 15% of patients to be non-candidates for LASIK. In those cases, Dr. Farah offers them other alternatives. 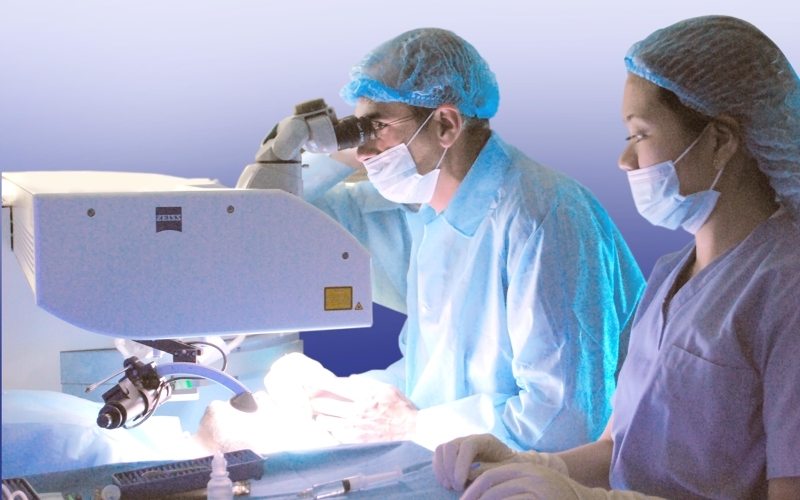 Laser Assisted In-Situ Keratomileusis (LASIK) is the most frequently performed laser procedure for vision correction. It permanently changes the shape of the cornea using an Excimer Laser. This procedure was first approved by the US-Food and Drug Administration (FDA) in 1986, and since then millions of people around the world have had it done. LASIK is done by applying laser under a corneal flap. It can correct myopia (near-sightedness), hyperopia (far-sightedness), and astigmatism (asymmetric-shaped cornea). More than 95% of patients achieve 20/20 vision or better, and more than 99% of patients are satisfied with the procedure results. The advantage of LASIK over other procedures is that it is quick, simple, and painless. Visual recovery is fast, usually within 24 hours. Eye-drops are applied for only one week. No sun protection is needed. Member of the European Society of Cataract and Refractive Surgery, Member of the American Academy of Ophthalmology, Member of the Middle East and Africa Congress of Ophthalmology (MEACO), Member of the Lebanese Order of Physicians, Member of the UAE Ophthalmological Society, Founder and Vice President of “The Lebanese Cultural Aggregation"
-Instructor, Optometry School/ Higher Institute of Industry and Technology, Lebanon, 2001-2005; and Medical School/ University of Wisconsin, USA. 1998-1999. -Farah S, Mansour A. Central retinal artery occlusion and optic disc drusen. Eye 1998; 12(3A): 480-482. -Khawam E, Menassa J, Jaber A, Farah S. Diagnosis and treatment of isolated inferior oblique muscle palsy: A report of seven cases. Binocular Vision and Strabismus Quarterly 1998; 13(1): 45-52. -Farah N, Farah S, Khoury A. Wound neovascularisation after glaucoma triple surgery. Middle East Journal of Ophthalmology 1998; 6(2): 119-121. -Farah N, Khoury A, Farah S. Sarcoidosis presenting as granulomatous infiltration of the optic nerve head. Middle East Journal of Ophthalmology 1998; 6(2): 111-113. -Farah SG, Azar DT, Gurdal C, Wong J. Laser In Situ Keratomileusis: review of a developing technique. Journal of Cataract and Refractive Surgery 1998; 24(7): 989-1006. -Azar DT, Farah SG. Laser in situ keratomileusis versus photorefractive keratectomy: an update on indications and safety. Ophthalmology 1998; 105(8): 1357-1358. -Farah SG, Somapunphong S, Dakroub R, Azar DT. Lacrimal gland burnout syndrome; A neurostimulatory dysregulation in dry eye states. Survey of Ophthalmology. -Farah N, Farah S. Wound neovascularisation after glaucoma triple surgery. Presented at the Afro-Asian Congress of Ophthalmology in Lebanon, June 1996. -Farah N, Khouri A, Farah S. Optic nerve head infiltration as a sign of sarcoidosis. Presented at the Afro-Asian Congress of Ophthalmology in Lebanon, June 1996. -Farah N, Farah S, Khouri A. PHPV and facial hemangioma. Presented at the Afro-Asian Congress of Ophthalmology in Lebanon, June 1996. -Samapunphong S, Hernandez E, Farah SG, Azar DT. Posterior corneal curvature change after LASIK and PRK. Presented at the American Academy of Ophthalmology meeting in New Orleans, November 1998. -Farah SG, Olaffsson E, Gwynn D, Azar DT, Brightbill FS. Outcomes of PARK with respect to marking at 6 o’clock. Presented at the American Society of Cataract and Refractive Surgery meeting in Seattle, April 1999. -Farah SG, Azar DT, Brightbill FS. Outcome of corneal and laser astigmatic axes alignment in photoastigmatic refractive keratectomy. 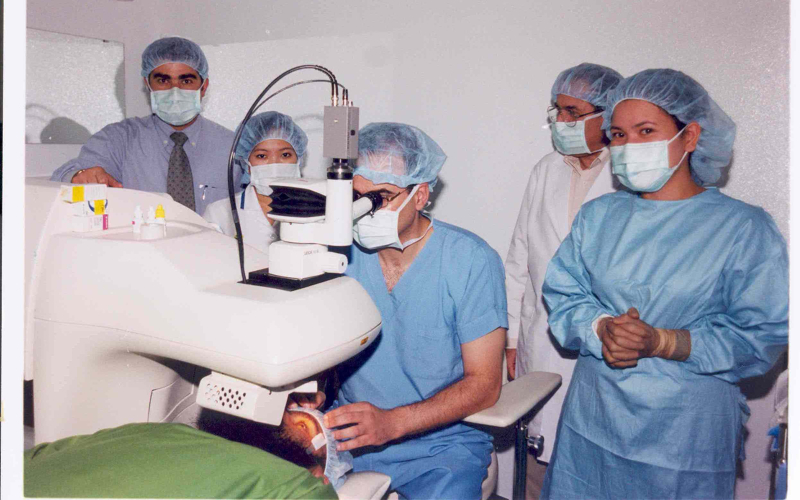 Presented at the Pan Arab African Congress of Ophthalmology meeting in Beirut, April 2001. -Founder and Vice President of “The Lebanese Cultural Aggregation"
Beirut is a fascinating combination of the Middle East and the West; of Christianity and Islam; of tradition and modernity. It’s a place where culture, family and religion are all-important — and travelers alike feel safe, secure, and honored. In a city bursting with galleries, parties, and sights unmatched, Beirut has just the right taste of culture. Beirutis of all walks of life love an al fresco breakfast, lunch or 3am snack, preferably in a moments notice. The Lebanese city's food and drink scene is going global, with returning expats bringing new tastes and flavors every day. 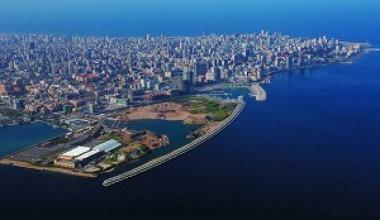 Beirut offers hotels for all budgets. Luxury resorts and sophisticated health spas in an idyllic setting, as well as many restaurants closeby offering flavors from around the world.